The tangram is a dissection puzzle consisting of seven flat shapes which are put together to form shapes. 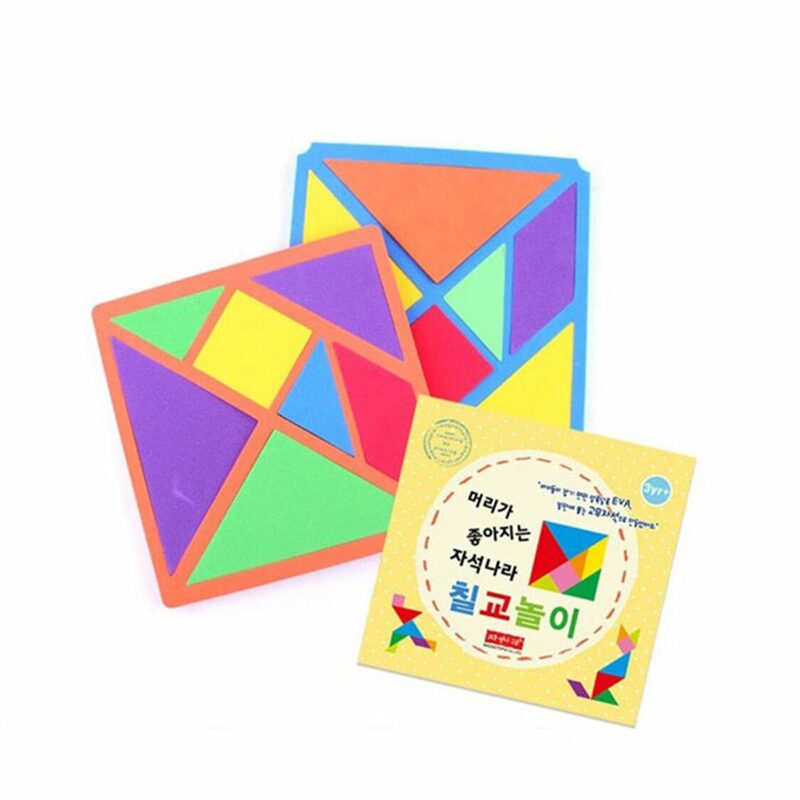 This magnetic tangram will provide you various fun and educational games. 2 sets of seven flat shapes come in a box together with a introduction presenting loads of examples of different objects to follow. KC certified soft touching EVA surface with magnetic bottom is a perfect learning aids for your little ones.